What is it about a collection that inspires us to revisit it years later? The speed with which designers are expected to churn out collections is truly alarming. Fall/Winter, Spring/Summer, Pre-Fall, Resort. It is no wonder that even before the dust of a particular collection settles, that designer’s subsequent collection is already walking down the runway. For that very reason, united with the ever-growing number of designers showing at the various fashion weeks, I know that I personally never give a collection more than a quick glance before I ravenously move onto the next. And as soon as you finally get caught up, Style.com becomes flooded once more with another round of collections. It’s no wonder that most collections never fully resonate with me until years later. That being said, I’d like to revisit Comme des Garçons’ Spring/Summer 2012 RTW collection and give it the time it initially deserved. Even two years later, the collection, conceived entirely in white, is stunning and the construction details are mesmerizing. Par for the course, a Kawakubo collection never stops at merely aesthetics. Each look is imbued with meaning and representations. 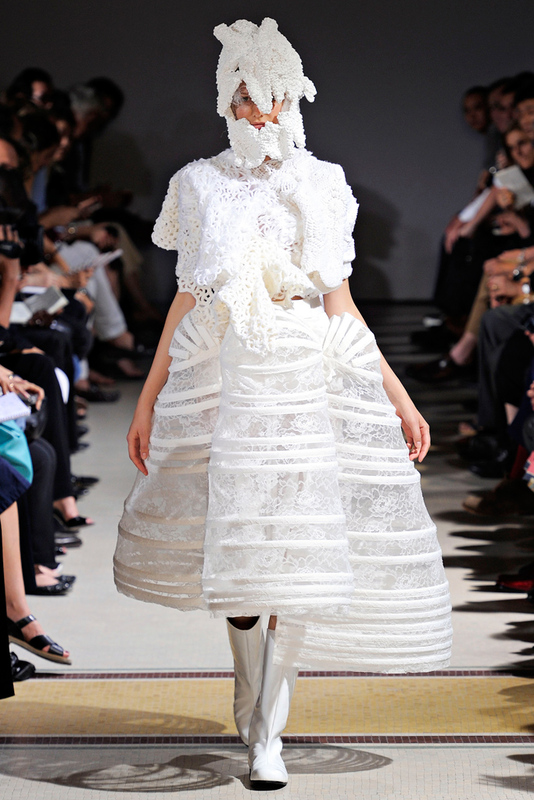 Throughout the collection, CDG designer, Rei Kawakubo, examines historical garments including the Western wedding dress, the robe de style, a child’s Christening Gown, the caged crinoline, and the back bustle of 1885. She subverts their meanings by juxtaposing these seemingly disparate elements together, oftentimes in one garment. Look 2 blends the silhouette of the robe de style with the snake-like bustles of 1885 and packaged as a pristine, white wedding dress. 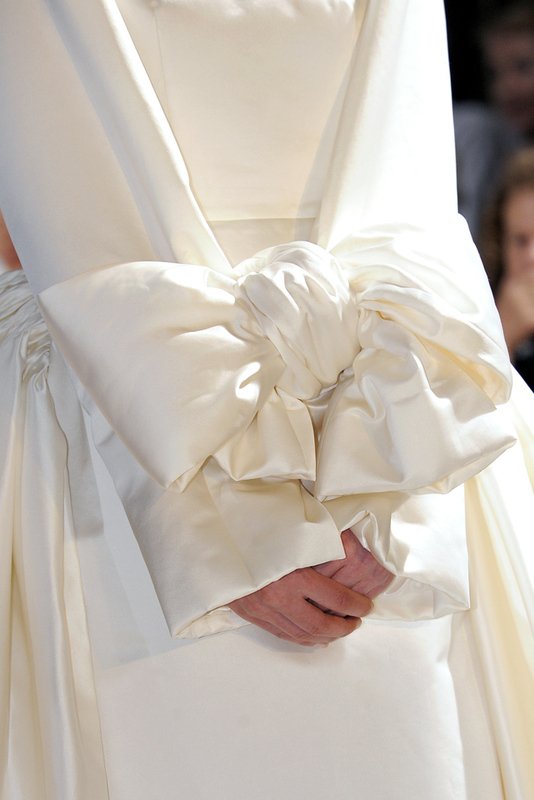 However, the blushing bride’s wrists are bound in front of her with an obnoxiously large bow. 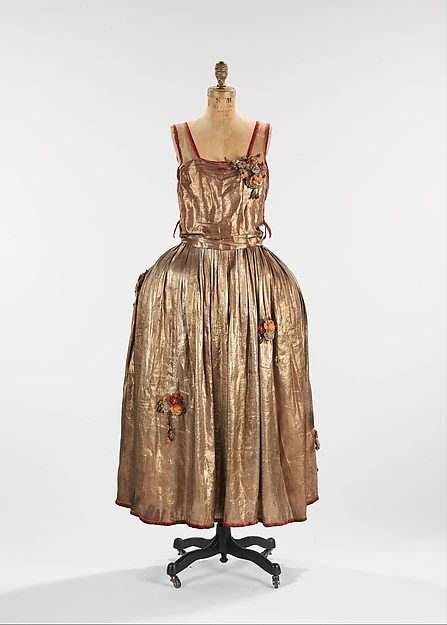 Perhaps this ensemble comments on how women turn a blind eye to the darker side of matrimony? Rather than entering a blissful union, where both partners are equals, the harsh reality of the matter is that the bride is embarking on a life of servitude. 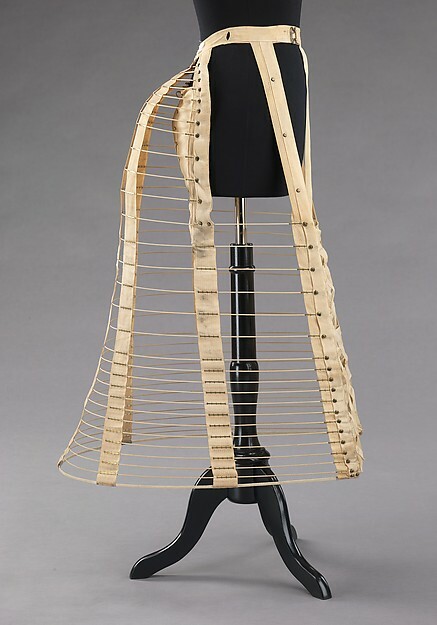 And on a more literal level, a caged cape layered over a ruffled dress pins the models’ arms to her sides, restricting her freedom of movement while a beautifully grotesque mask covers her face. What other references do you see? What meanings do you derive from the collection?